There's nothing wrong with saving up for that dive trip of a lifetime. But along the way, why not also reward yourself with some bottom time that may prove equally as enjoyable — and far less costly. And we're not talking about a weekend at the local quarry, but actual international dive vacations that deliver first-class diving and resort amenities without breaking the bank. The best dive resorts combine bottom time with a full range of topside amenities to deliver a total vacation package at an attractive all-together price. There are a number of factors besides the price of diving and accommodations that can add value to a dive package. The first is ease of travel. Lengthy transfers by land or local connecting flights not only add to the hassle of getting there, but also the cost. This is especially true of destinations where an overnight stop might be required before reaching your final destination. Fortunately, there are a number of cost-effective destinations served by direct flights from numerous US gateways. Taxes and ground transportation from the airport to the resort can also represent an unanticipated cost, which is why the majority of packages offered by us include airport transfers and taxes. 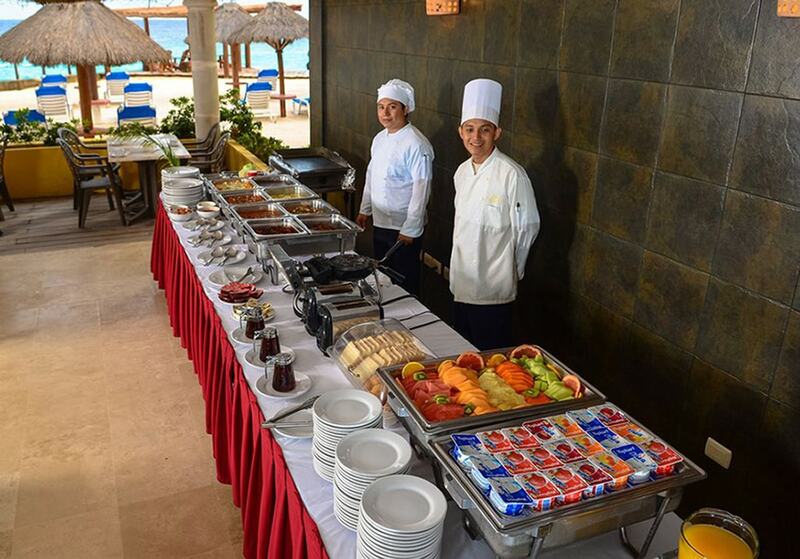 All-inclusive options can keep the cost of dining in check while providing delicious and varied daily options. Meals are another area that can run up the budget faster than expected. If you are dining a la carte at the average Caribbean resort, it's not uncommon to spend $15 per person on breakfast, $30 on lunch and $50 on dinner. This is why the all-inclusive option is popular with many divers. But there are other ways to keep dining costs down as well. Breakfasts are included in many package prices, giving divers a convenient and filling start to the day. Accommodations that include in-room refrigerators or kitchenettes will allow divers to economize by creating their own mid-day meals and snacks while saving the dining dollars for special nights at the resort or on the town. What's the real cost of a week's worth of diving in the Caribbean? If you work with us to find the best deals and choose one of these five prime destinations, you should be able to spend a week on the reefs for around $2,000 all in — or possibly a bit less. Cozumel's high-profile coral reefs are among the healthiest in the Caribbean. This Mexican island has been a favorite dive destination for decades, and with good reason. The clear-water currents that bathe the island's sheltered western sore nurture some of the healthiest reefs in the Caribbean. There are a number of dedicated dive resorts and several airlines that fly directly to Cozumel. You'll be at the resort enjoying a welcoming drink within an hour or so of landing. A majority of the properties represented by us offer all-inclusive plans, and the larger resorts will feature multiple dining options for added variety. These same resorts have formed partnerships with the island's leading dive operators, providing on-site facilities and direct pickups from the pier. Choose a central or south-coast resort for the beaches, or stick closer to town to take in the nightlife and local culture. 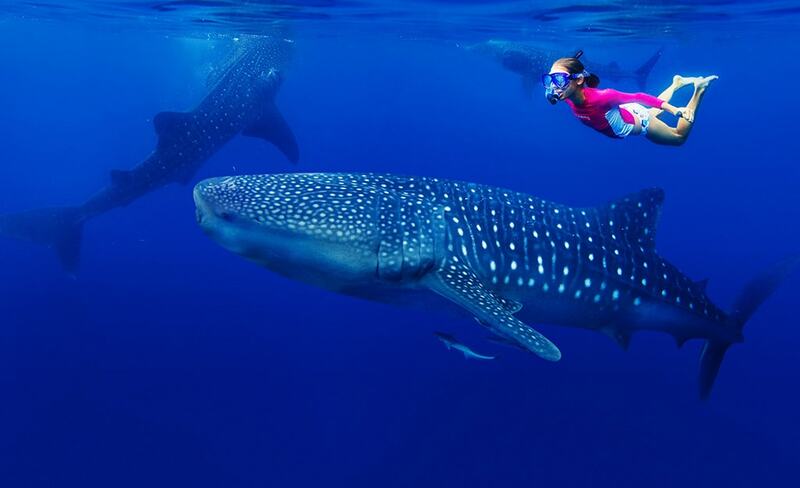 A signature adventure of Mexico's Rivera Maya is the chance to swim with whale sharks. Mexico's Yucatan Peninsula is home to some of the most glamorous and luxurious beach resorts in the Caribbean. And though less well-known for diving, this coast has a lot to offer in terms of both variety and adventure. The coastline is lined by spur-and-groove reef formations, and there are several shipwrecks to explore. But this is just the beginning. Each summer, the waters north of Isla Mujeres become one of the prime destinations in the world to swim with whale sharks. In winter, the waters right off Playa del Carmen attracts pregnant bull sharks. Milder but no less memorable are bays frequented by sea turtles, and the freshwater cenotes, where divers and snorkelers can catch a glimpse of the region’s famous underground rivers. 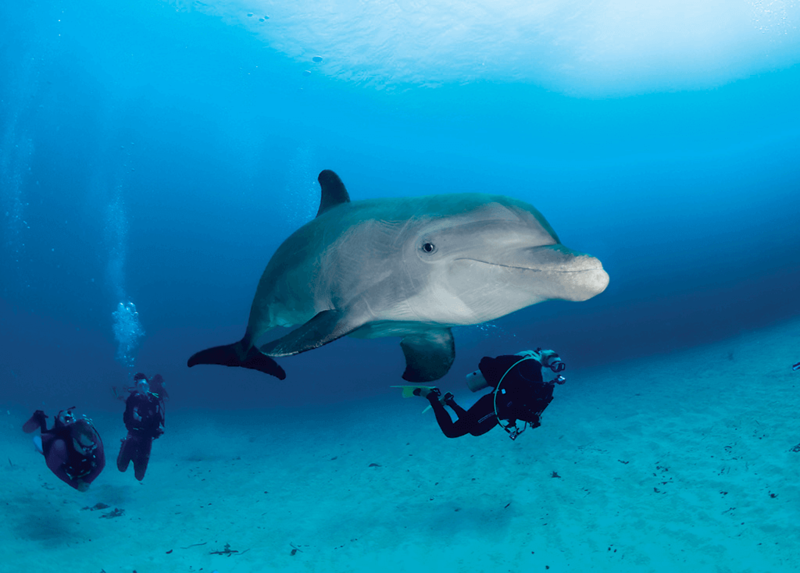 With cost-effective flights into Cancun and all-inclusive rates at choice resorts, divers can enjoy a wide range of adventures without breaking the bank. 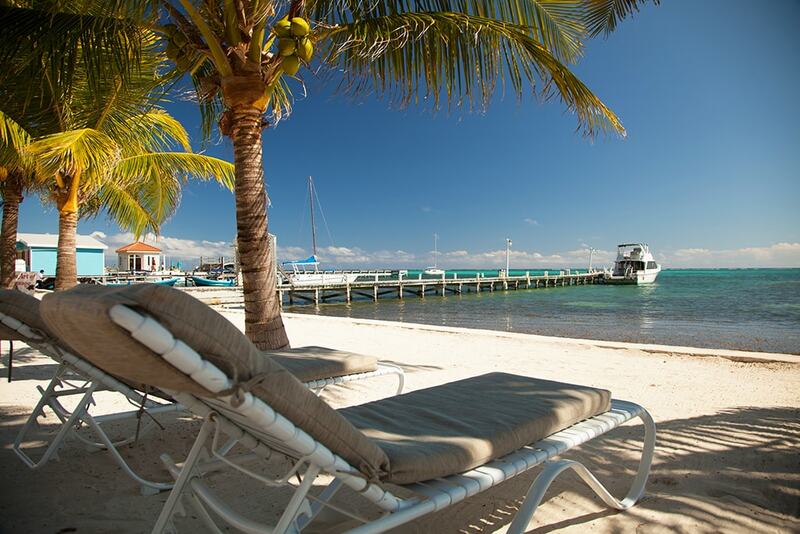 On Belize's Ambergris Caye, beachfront dive resorts are just a short boat ride away from the barrier reef. Belize is equally prized by divers and eco-travelers, and there are numerous opportunities to combine reef and rainforest adventures. Dedicated dive resorts are scattered among the small islands that line the country's Caribbean coast, the largest of which is Ambergris Caye, where laid-back beach resorts sit less than a mile away from the coral formations of the Mesoamerican Barrier Reef. Prices are right on everything from meals to rooms, and airfares are reasonable when you make a quick puddle-jumping flight from Belize City. In addition to quick daily dive trips to the barrier reef and the Hol Chan Marine Preserve, operators offer all-day trips to offshore atolls, which can include the famous Blue Hole. For more variety, you can tack on a couple of days of land-based adventures on the mainland. The most popular of Honduras’s Bay Islands offers more than 200 world-class dive sites and some of the best scuba infrastructure in the Caribbean. From macro life to dramatic walls and fish-laden wrecks, the underwater landscape delivers ample diversity. Another advantage Roatán provides is relative immunity from rough weather, as dive operators are typically able to shuttle divers between the north and south shores of this long- thin island on those relatively rare occasions when one coast is exposed to rougher weather. Back in the day, getting there involved connecting flights from mainland Honduras, but divers can now fly directly from the States to Roatán. Several of the best-known dive resorts on the island work with us to create extremely cost-effective dive packages that include boat dives, accommodations, meals and incidentals. 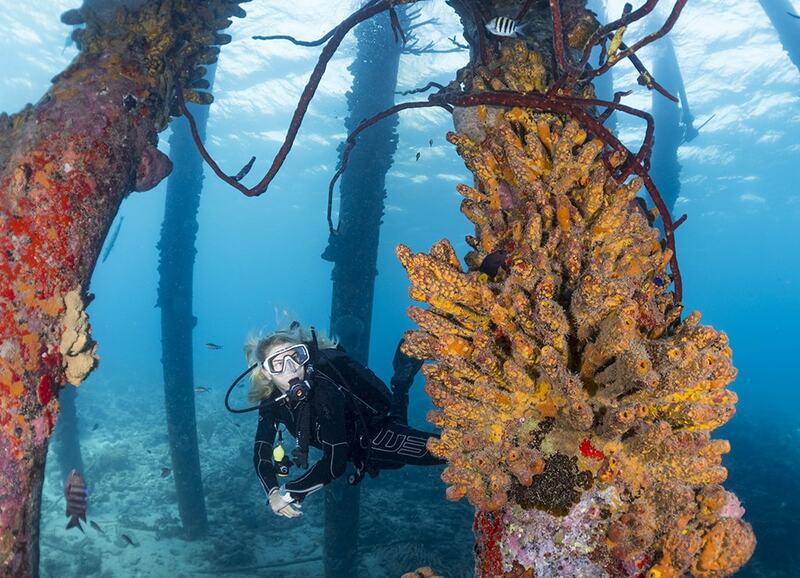 There are 50-plus shore diving sites on Bonaire, including the sponge-encrusted pilings of Salt Pier. 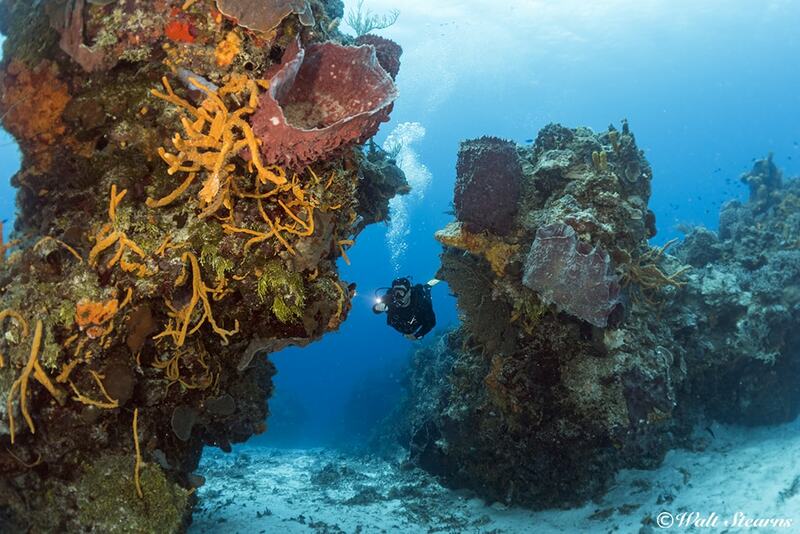 Nicknamed “divers paradise,” the quiet southern Caribbean island of Bonaire has been a perennial go-to for divers looking to log maximum bottom time while enjoying relaxing conditions. There are more than 50 dive sites lining the island's sheltered western shore, most of which can be accessed from land. 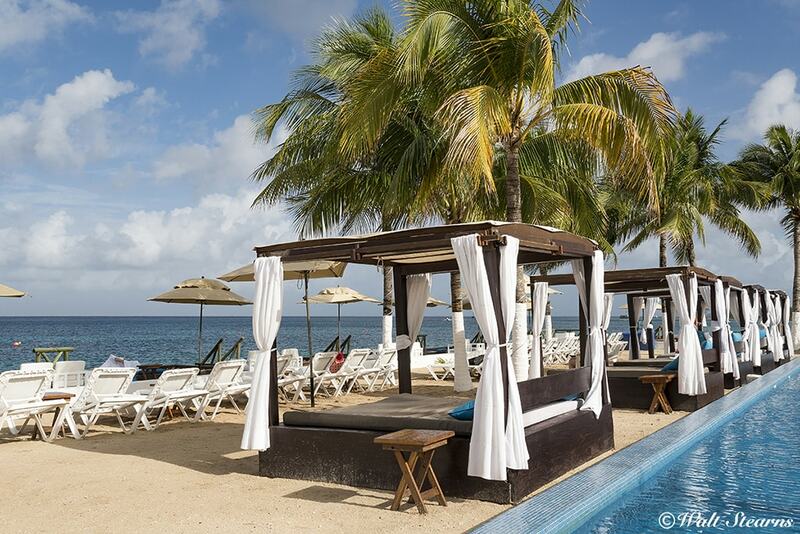 This has earned Bonaire the title of “shore diving capital of the Caribbean,” and resorts encourage this type of diving by offering packages that include rental vehicles, and adding drive-up air fill stations. Of course, there's also plenty of boat diving, which is the only way to access the 26 additional dive sites on the nearby island of Klein Bonaire. As a result, divers can choose packages that add boat dives or spend the entire week exploring from shore. One feature common too many of the island's resorts are the inclusion of kitchenettes in rooms and suites, which helps keep food budgets in line. Airfare to Bonaire can be a variable cost, so travel-savvy divers know to check with our agents to identify the best flight schedules and times. To get started planning your budget-friendly dive vacation, just give us a call at 800-330-6611 or send a note to sales@caradonna.com.